Despite the steady expansion of the Internet globally and corresponding promises of e-government to usher in a new era of public sector transparency and heightened accountability, there are widening signs of public distrust. 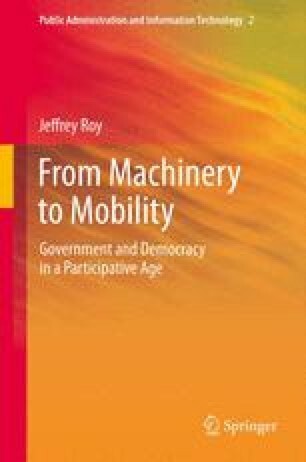 The interplay between evolving societies in the still-nascent mobility era and their democratic systems is at the very least in flux, with contemporary forces for transparency and participation rooted in wider shifts in behavior and values being driven by the spreading of digital infrastructure. Moreover, it is not merely the existence of this infrastructure—but how it is assembled and shared in an environment increasingly characterized by technological contestation between proprietary ownership of information and intellectual property and open-sourced platforms, where secrecy and control are shunned and viewed as exceptions rather than norms.